Somewhat crazily and with attendant nerves, I'm appearing in the next show at Park after Toast. I'll be appearing alongside Peter Davison and Thusitha Jayasundera in David Hare's The Vertical Hour. Like Toast, this will be first British staging of the play since it's debut at The Royal Court in 2008. You can read more about it and book tickets here. I'm very excited to announce that I've been asked to play Dezzie in the first London revival of Richard Bean's brilliant debut play Toast at the lovely Park Theatre from 27th August. The show will directed by Eleanor Rhode for Snapdragon Productions and I'll be working alongside Matthew Kelly and Simon Greenall. Read more about the production and book tickets from the Park Theatre site. I've been spending quite a bit of time in the studio recently. Last month I recorded the audio-book of the heartbreaking First World War diaries of Charlie May, To Fight Alongside Friends. The hardback is released next month and it's an extremely moving first-hand account of a man in the trenches during the build-up to the Battle Of The Somme. This week I've been spending time with EM Forster, reading Damon Galgut's Arctic Summer - a fictional biography of the writer's experiences in the twelve years it took him to write A Passage To India. Next week, it's a Pat Barker double-header, as I'm recording both Life Class and Toby's Room. Phew. Good times. And great literature. Gerard Woodward's epic 2nd World War novel "Vanishing" has just been released as an audiobook, read by me. It's 16 hours (and 2 minutes) of my voice conjuring up the incredible narrative of Kenneth Brill. It's well worth a go on your earholes, if you like that sort of thing. It can be downloaded here. 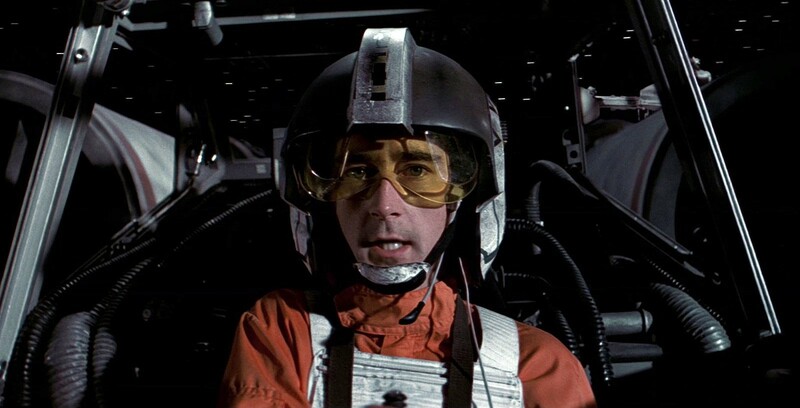 I'm very excited as today I've filmed with one of the cast of the original (and - stating the obvious - BEST) Star Wars Films Wedge Antilles, aka Denis Lawson, in a new episode of the fantastic and very fun New Tricks. Denis was a charmer, as was Nicholas Lyndhurst. The show'll be on BBC1 in the autumn. I've been locked in a dark room with the lovely people from IDAudio, recording my first audiobook. I'm tackling all 490 pages of "Vanishing" by Gerard Woodward. It's brilliant and full of extraordinary characters. The finished work will be available in April and will be released by Audible. I'm very excited. And a bit exhausted. For the last few months, I've been a member of Rough Fiction's 2013 ensemble. We've been meeting at South Bank University and cooking up ideas and developing a practise as a company under the mightily-biceped Simon Pittman. Whatever happens over the next few months, I thoroughly recommend you check out the work of this brilliant company. They are ace-holes. I've just agreed to do a new play by Ros Ericson at the new Park Theatre, Finsbury Park in June. "Casualties" tells the story of two bomb disposal experts Mike and Gary, and the consequences of their friendship working out in Iraq and Afghanistan. I'm very excited to be getting back in a rehearsal room and onto a stage. Read more about the play, and book tickets, here. "Hammer Of The Gods" will be released in the US by Vertigo Films on Friday July 5th. The film will be distributed by Magnet Films. Read more about it here. Watch the latest redband (ie gory) trailer here. I've just finished the first draft of "Heartbreaker", a thirty-minute film for television. The story of a man riding buses and engaging in increasingly odd conversations, I'm hoping to develop it over the next few months with a few to filming it before the end of the year. Farren Blackburn's debut feature "Hammer Of The Gods" will be released by Vertigo Films in Spring 2013. The Viking epic stars Charlie Bewley, Elliot Cowan, Clive Standen, and James Cosmo. I had a lot of fun on this film and I think the trailer looks incredible! I've just spent the day as part of a cast recording for "Ring", a multimedia piece written by Glen Neath and conceived and directed by David Rosenberg. Also featuring Simon Kane, Tom Lyall, Catherine Dyson and Nigel Barrett, "Ring" receives its London premiere at the Battersea Arts on the 11th March. More details can be found here. Marc Duigan's film, based on his novel, about the life of J Edgar Hoover has just wrapped in Bucharest. I had the intimidating task of playing Bobby Kennedy opposite the fantastic Brian Cox as Hoover. The Curse Of Edgar will be released in late 2013. Black Dust has just played the London Short Film Festival. Written and directed by James Lawes, the film played as part of the "Father" programme on Sunday 13th January at the Curzon Soho.